This weekend, Mr. Groom participated in a raffle at Jake’s Bar in Five Points hosted by The Columbia Humane Society. 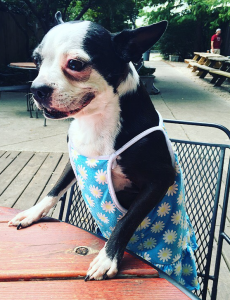 If you’re not familiar with Jake’s, they have Yappy Hour every week where everyone can bring their dogs with them! Needless to say, we had a great time celebrating National Mutt Day with a whole bunch of great food, live music and awesome pups! If you’re interested in Jake’s and their unique Yappy Hour, visit jakesofcolumbia.com. If you’re looking to volunteer with the amazing folks at the Humane Society, check out their website humanesc.org for more information.